This year, I had the most perfect V-day with the girls in Paris! It all started with dinner Saturday evening at this trendy Italian place in le Marais: Cafe Baci. Sunday morning we then had the most girly champagne brunch at les Philosophes. They really have the best breakfast, celebrity spotting included! 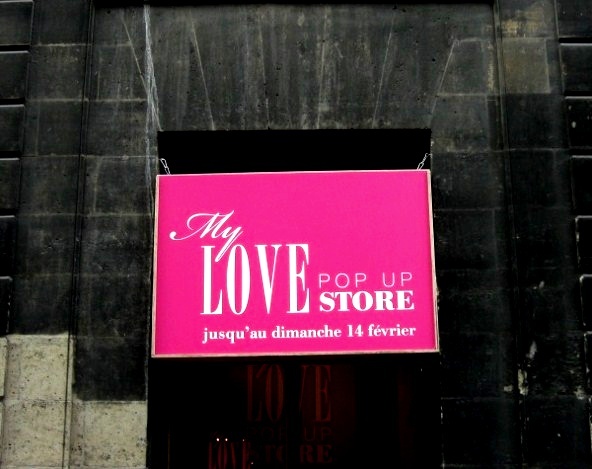 We rounded it all up with a little stroll through le Marais, where we came across this lovely Valentine’s pop-up store, which distributed Kusmi Sweet Love tea for free! Thank you so much girls, for making this happen!! Can I come next time ;-)?